The insolvency and bankruptcy code was effectively notified with the objective to complete insolvency resolution process in time bound manner. The code was enacted with the aim to revive the entity effectively and protect the hard earned money of investors and creditors and to safeguard the entity or corporate debtor from the coercive action of creditors or investors. Whenever it comes to any business the corporate debtor or company is burdened with the obligation to protect and promote the interest of stakeholders and creditors besides this the creditors also owe a sense of responsibility towards the corporate debtor. 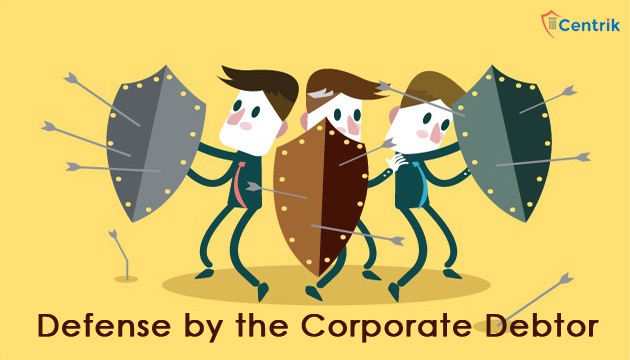 Under the code the creditors (financial and operational) are empowered to drag any corporate debtor to the National Company Law Tribunal (NCLT) in case the corporate debtor defaults in making payment but the decision to be made by the NCLT cannot be based solely upon the story of the creditor and the corporate debtor should also be given an opportunity to articulate the reasons for defaulting in payment. A different set of steps are involved to initiate Corporate Insolvency Resolution Process in the case of Financial creditor and Operational Creditor. In most of the cases, the Corporate debtor is considered at default but the Corporate debtor has to be given the opportunity to present his side of the story and then come to a conclusion. Operational Creditor is the creditor who has provided any goods or services or employment to the corporate persons. When the application involve the Operational Creditor or Operational Debtor the primary step involved in the process of the Corporate insolvency resolution process is the issuance of the demand notice along with or without invoice raised by the Operational Creditor under section 8 of the code stating the amount owed by the Corporate debtor and demanding the same from the corporate debtor. Pay the claimed amount to the operational creditor. If the corporate debtor does not perform any of above-mentioned steps then the Operational Creditor is entitled to initiate the insolvency petition against the corporate debtor and the NCLT will have to admit or reject the application within 14 days of the filing of the application. Financial creditors are those creditors who have provided the financial assistance or aid to the corporate debtor with an effect of commercial borrowing i.e. having the principle of the “Time value of money” associated with that amount. In case of financial creditor being an applicant to the insolvency process, an application would be made to Adjudicating Authority and a copy of such application would be sent to the corporate debtor. NCLT will admit the application it is satisfied that the Corporate Debtor has actually defaulted in making the payment to the financial creditor otherwise the NCLT will reject the application within 14 days of the filing of a petition.